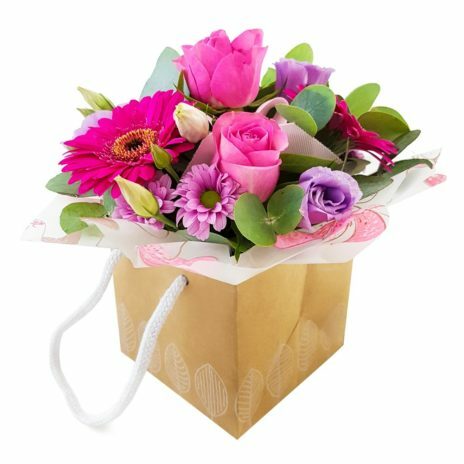 An aqua packed bouquet is ready arranged with the stems packed in a “bubble” of water using a complementary cellophane and presented in a stylish hand tied gift bag. 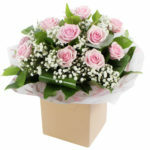 This bouquet is ideal if the recipient is not able to put the flowers in water straight away. 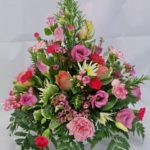 The bouquet can be left in its aqua pack, but care must be taken that it doesn’t get knocked over, try standing them in a sturdy container. We would recommend taking the flowers out the cellophane and placing in fresh water. 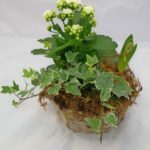 To remove the packing, snip the bottom of the water bubble over a sink to remove the water, then un wrap the cellophane. 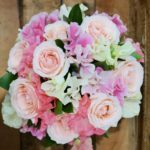 Please recut the stems of the flowers before placing in a vase, their is no need to untie them as they as already arranged. 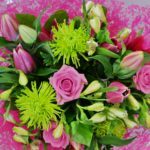 The bouquet in the picture is priced at £30.00, the size may vary due to fluctuation in flower prices and the types of flowers used. 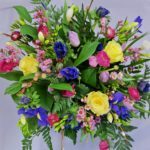 We will specially select appropriate flowers in a colour scheme of your choice to ensure an attractive display. Please let us know any likes / dislikes the recipient may have.